The Federal Reserve isn't budging for now. The Fed's committee unsurprisingly decided not to raise its key interest rate Wednesday. Fed Chair Janet Yellen foreshadowed the decision in a speech in March, noting that the central bank would move "cautiously" in 2016. Investors were on edge before the announcement about what hints the Fed would give about its meeting in June. The committee didn't change its tone by much but dropped hints on its worries and what's holding it back. "Economic activity appears to have slowed," despite job market gains, the Fed said in its statement. It also noted that household spending had "moderated." That tepid language greatly lowered investors' expectations for a June rate hike. Before the announcement, about 31% of investors called for a rate increase in June. After the announcement, expectations immediately dropped to 19%. 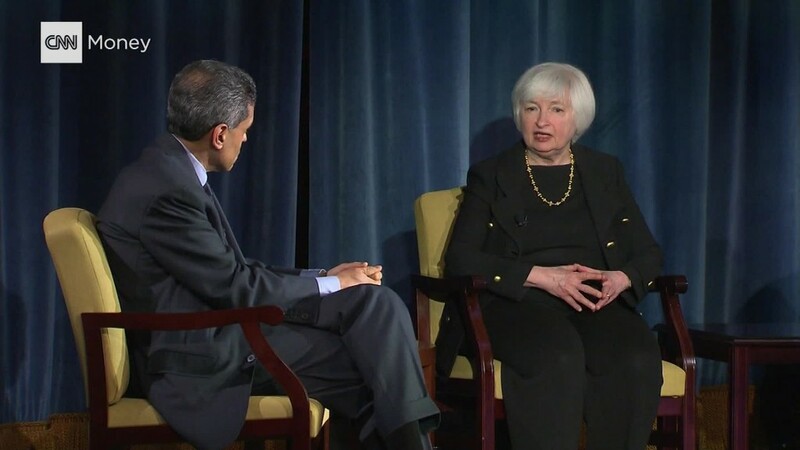 The Fed slightly changed its tone about the global economy, saying it's "closely monitoring" global developments. It seemed to indicate that global "risks," that were a huge worry early in the year, are less of a concern now. The Dow and S&P 500 hit their highest point of the day after the Fed's announcement. But the markets didn't bounce all the much: the Dow was only up 64 points shortly after the news came out. The S&P 500 was mostly flat. The Fed appears to be focusing heavily on the U.S. now. The economy in the first quarter is expected to have grown at a very sluggish 1% or lower, according to several estimates. The data will be released on Thursday. "The Fed is conscious of the fragility of the underlying financial and economic conditions," says Jeremy Lawson, chief economist at Standard Life Investments. The Fed's committee raised rates in December for the first time in nearly a decade. In December, the Fed estimated it would raise rates four times in 2016. Then at the start of this year, oil prices fell, stocks tanked and China fears amplified. In March, Yellen and other Fed officials lowered their expectations to two rate hikes in 2016, where they currently stand now. But even two rate increases doesn't look like a certainty now. For one, the 2016 election could influence the Fed's thinking, although that's debatable. Secondly, the IMF recently described global growth as "fragile." The Fed doesn't want to do anything that will add to the uncertainty. And as other central banks push interest rates down, that may dissuade rate increases going forward.